heard in one so young. The well-chosen tracks on her debut CD album, Once Upon A Time, serve as an example of her amazing repertoire. It comes as no surprise to learn that Zoë is a classically-trained mezzo soprano but her char-ming personality shines through and it is fitting that she is earning plaudits for her extraordinary gift. Although she has been hailed as "the new Charlotte Church"  which should give some indication of her sublimely beautiful, angelic voice  the surprise is the depth of emotion that enhances Zoë's outstanding performance. The heart-soaring vocal virtuosity of Les Cisseaux dans le chamille (The Doll Song), the unforgettable rendition of Nessun Dorma and Zoë's version of the poignant song Eric Clapton wrote for his son Conor, Tears In Heaven, combine to make the Once Upon A Time album extremely touching yet uplifting. Passionately campaigning for Down's Syndrome charities, Zoë has raised over £120,000. It was her wish to honour the memory of her sister Jodie  a decision quite remarkable for one so young  and she recently joined Rosa Monckton, patron of the Down's Syndrome charity Upside Down, in a campaign on behalf of the charity that has gained national exposure including feature profiles in Hello and the Daily Mail. 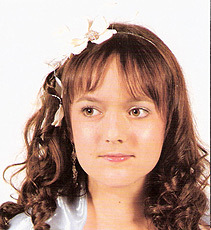 Rosa's daughter, who has Down's Syndrome, was a godchild of the late Princess Diana. 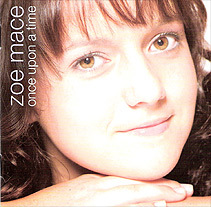 Once Upon A Time looks set to launch Zoë Mace as one of the most exciting new stars from the world of music. It is also rare to find a young person who has a genuine desire to improve the lives of those less fortunate. We will be hearing a great deal more of this young lady and her remarkable talent. It goes without saying that high on Zoë's wish-list will be seeing Once Upon A Time at the top of the classical album charts. But her over-riding desire is for Tears In Heaven to give hope and much needed support to children with Down's Syndrome and their families. Zoë Mace is one rising star who has her feet planted firmly on the ground and her heart very much in the right place.  Tears In Heaven is now available to download (all proceeds go to Downside Up). Check out zoemace.com, myspace.com/zoeannemace and downsideup.org.